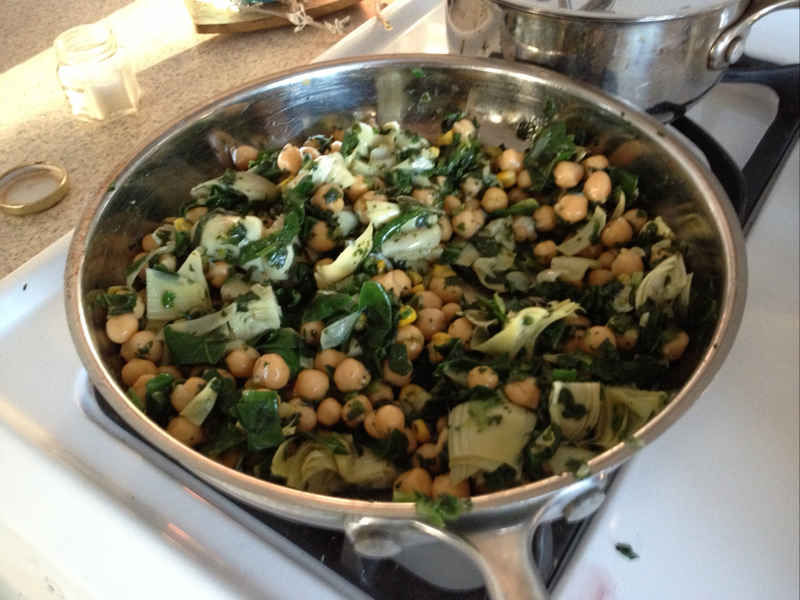 Sauteed the garlic, spinach, artichokes, a bit of frozen corn, and beans together with some salt and pepper. Threw the purple sweet potato in the with the black rice as it cooked. The art of making something out of nothing, continued. 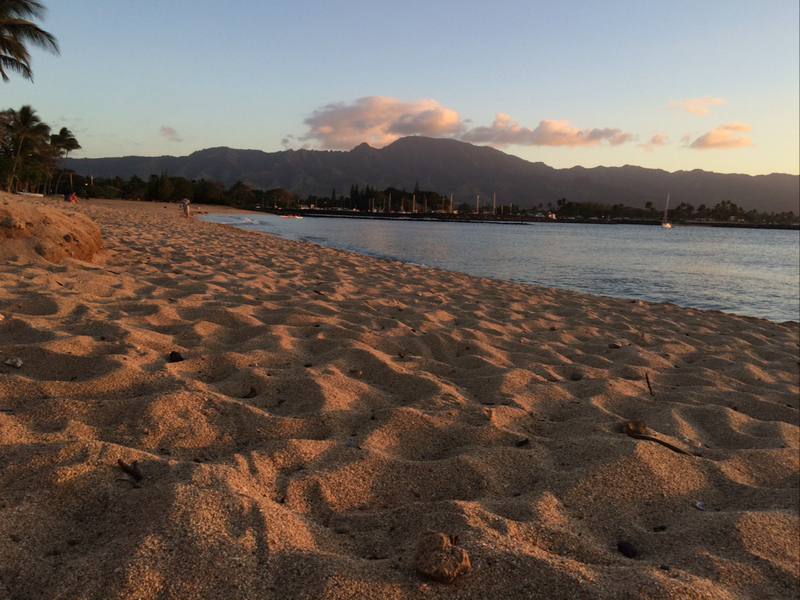 Got back from Hawaii, needed to make dinner, and didn’t feel like making a trip to the store. 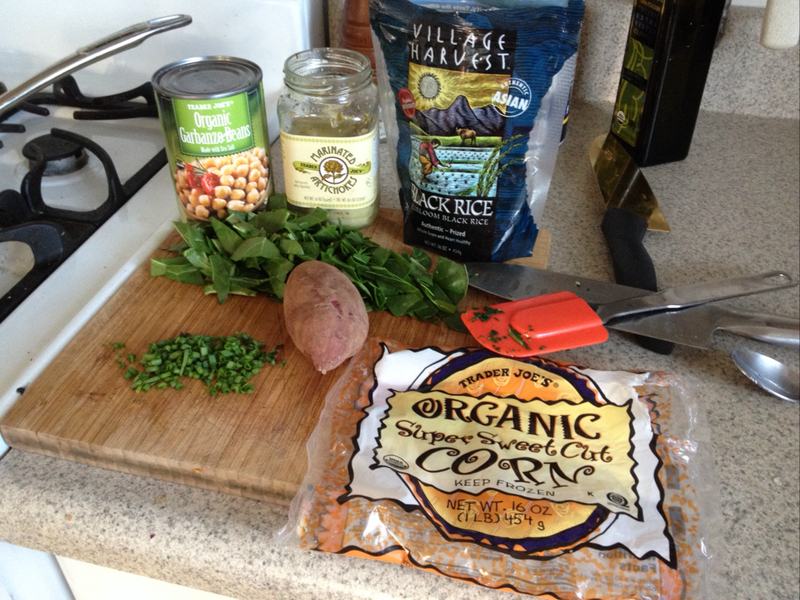 So I worked with what we had, some rice, artichokes, garbanzo beans, a bit of red cabbage, garlic, purple sweet potato, frozen spinach and corn, and chard/green onions from the garden. 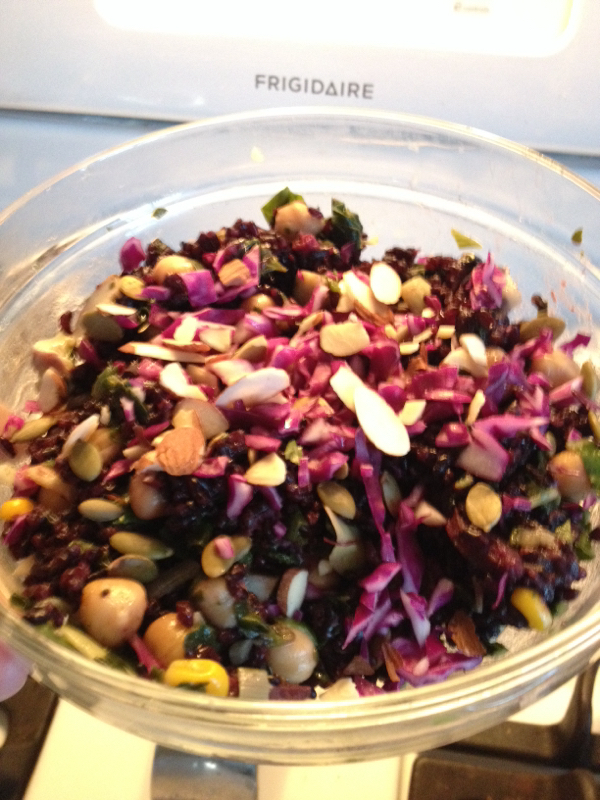 Threw it all in a bowl, topped it with some chopped purple cabbage, sliced almonds, and pepitas and called it dinner. I don’t have a recipe per se for this one, just wanted to put it out there as some inspiration to use what you’ve got. Sometimes the most humble, unimpressive meals are the tastiest. Bon appetit!